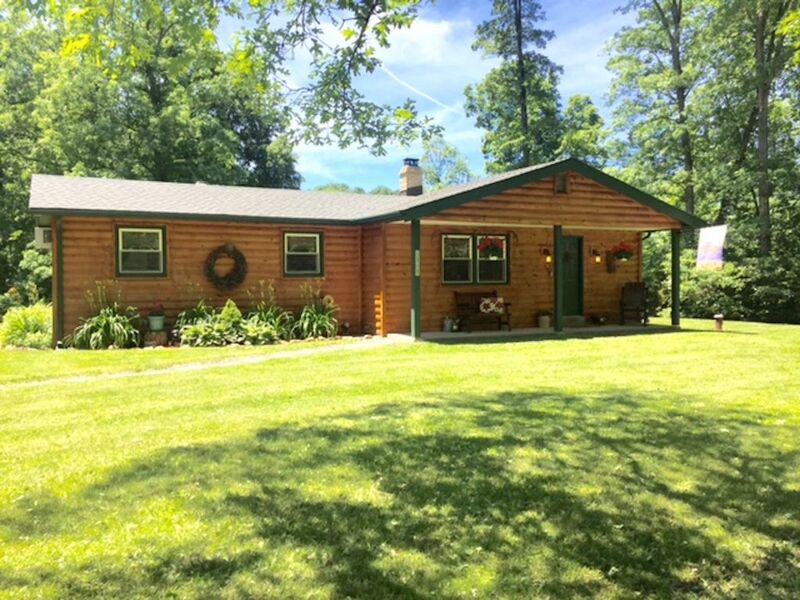 Two bedroom/Two bath cabin on four country acres with small streams adding to this property's tranquility. Wether you are looking to just relax and reconnect with family and nature, or spend fun filled days at local attractions, this home offers it all. Our location makes it easy to plan day trips to New York City, Philadelphia, Amish Country, and the Poconos. End a beautiful day with the sounds of the babbling brook and the crackle of a campfire. Add firewood bundles to your reservation for the outdoor fire pit and we will have them at the cabin for your arrival. Don't forget to bring the supplies to make everyone some smores! Appalachian Trail head less than a mile. All within Approx. 20 miles. Dorney Park & Wild Water Kingdom, Blue Mountain and Bear Creek Ski Resorts, Lehigh Valley Zoo. DISCOUNT BLUE MOUNTAIN SKI RESORT TICKETS AVAIALABLE.! Gene & Micki Tapper With over 30 years experience in the hospitality business, we are pleased to be able to share this beautiful cabin with you. Our goal is to help you step back from all the stresses of life; reconnct with family and nature , and make wonderful memories. Everything that we were looking for! Great responsive owner and fantastic cabin! Thank you! The perfect little getaway! The cabin was very cozy and on a beautiful property tucked away from it all. It had everything we needed and was super clean. The homeowner was also great to work with. Highly recommend. The cabin was perfect. It was immaculate and homey. Property was gorgeous. Highly recommend. Very happy with our month long stay at the cabin. It was very homey and comfortable. The cabin had everything you would want for a home away from home. Grandkids loved exploring the creek. Great memories for all.